Travel the world and live like a local using Trusted Housesitters. Free places to stay in over 140 countries in exchange for pet care! When we decided that we wanted to start traveling and blogging full-time, we knew we wouldn’t be able to afford a traditional lifestyle. Basically what that means is we knew we couldn’t afford to pay rent. So if we couldn’t pay rent, where would we live? We turned to Trusted Housesitters. 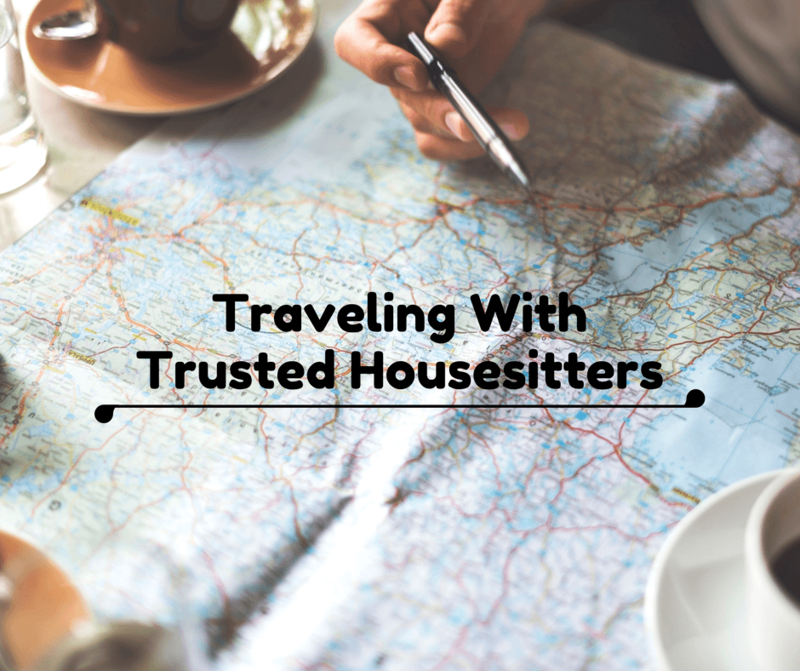 We’d heard good things about Trusted Housesitters from fellow bloggers; they said it was a great way to travel and see the world and they mentioned it was easy to use. So we went to the website to do some research. It was straight forward, with videos and a section for frequently asked questions. When signing up for Trusted Housesitters, there are two options you can choose from: Home & Pet Owner or House Sitter. Each is an annual fee of $119 (if you sign up for both at the same time you get a bit of a discount). We think the price is pretty reasonable no matter which of the two you choose from. If you’re a pet owner and want to travel, you spend a lot more than that when you take your pet to a kennel. If you’re a traveler, you spend a lot more than that on accommodation. So even if you only use it once, you are guaranteed to save money. If there’s one that interests you, click on it for more information. The homeowner will lay out more about the house itself, the surrounding area, and whatever responsibilities you’d have with their pets and/or house. If you want to apply, you then send them a message through the site. Some people will respond right away, some might not respond at all. You just have to apply and see how it goes. We’ve had nothing but great experiences so far. We’ve gotten to meet new people and have been able to explore new cities. We also love it because we feel like it’s a more authentic travel experience and we get to see a place from more of a local perspective. Something we’re asked pretty frequently: Is house sitting safe? Granted, we just started a few months ago, but we feel that the answer is yes. For one, Trusted Housesitters does background checks. But what we really take into account is the fact that these homeowners have paid for their membership, same as we have. To us, that just makes us think they’re a bit more serious and responsible. Obviously, you never know what could happen, but we just don’t feel like unsavory characters would be going through the effort to sign up on this site. On our way to our house sit in Ocala, Florida. So we’ll be traveling from house-sit to house-sit, occasionally stopping at friends’ houses along the way. Luckily my time in the Army left me with friends all over the country. But even if you’re not looking for anything long term like we are, we still think Trusted Housesitters is a great option for traveling and saving money on accomodation. Pro Tip: Keep track of where you’ve been with this Travel Tracker Map. We’ve always been advocates for traveling while holding down a full-time job, so if you’re trying to find ways to travel on the weekends while not spending a fortune, this is for you. Or even if you don’t want to go far, but want to spend time cuddling with a dog or cat, this is also a good option. We know plenty of people that can’t have a pet because of where they live or because they themselves travel so often, so they love that they can have the pet experience for a few days. The two adorable pups we took care of in Saint Cloud, Florida were never more than a few feet away. You can click here to learn more about Trusted Housesitters. When you’re ready to sign up, use code RAF79399 at check out to receive 20% off. I have a friend who house sits for me occasionally – it’s definitely the nicest way to leave your animals for a while (in my case a cat). In fact I think some pets quite relish their temporary ‘slaves’ – and it’s such an easy win for travellers too! I’d love to give housesitting a try someday. It seems like a great way to afford long and short term travel. But even more so, I like the spontaneity it could bring, since you’re not quite sure where your next housesitting job will be, right? Good luck and keep us posted on the pros and (any) cons! A friend of mine is using this service in her home area, along with her boyfriend, so that they can save most of their salary for a year or more, and be able to put down a deposit to buy their own home. Paying rent would make saving sooo much slower for them. They also did a couple of months travelling through this service and loved that too. I do catsitting when I travel, but I get them from other online sources like Facebook, Couchsurfing, etc. I would love to sign up here, but it’s not worth it for me. Having a Philippine passport means I can’t just go where I want to go. Being a member is good though, as it gives you some sort of security both as a sitter and as an owner. What a brilliant idea! I didn’t know this existed! I’m going to have a look especially as it is 140 countries! Thank you for sharing this valuable information. This is such a great option for both people who want to travel on a budget + love animals AND pet-owners who want to travel. If my mom didn’t love to watch her granddog as much as she does I would definitely need to take advantage of this! I love that it’s a program that you feel safe using as well! Thanks for sharing this guide to getting started! That’s an interesting idea and I never even knew that such services exist. Reminds me the olden days when my family used to live in a small town in a standalone house (not an apartment or a gated compound). So, traveling even for one day was a worry because we always had to find someone to stay there. Thats quite an interesting idea. Having pets at home often means comprises in travel plans, but with this one can easily travel with the safety that the pets are taken care off. Interesting way to save more on travel! Will think of this when I do my US national park visit. Im curious though that if I register and pay the $119 fee, I dont have to pay anything else to the house/pet owner? Dog lover here so really think that this is a great alternative to hostels!